Be the first to share your favorite memory, photo or story of G.. This memorial page is dedicated for family, friends and future generations to celebrate the life of their loved one. 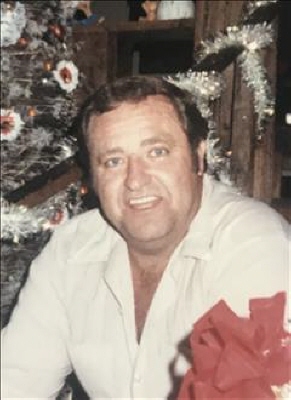 G. Howard Garland, age 72, of Ellijay, passed away Wednesday, April 10, 2019 at Piedmont Mountainside Hospital in Jasper. He was born August 9, 1946 to Jess and Effie Pearl Garland in Gilmer County. Howard is survived by his wife, Joan Garland of Ellijay; sons, Gene Garland Jr. of Ellijay, Joey Garland of Douglasville, Britt Garland of Douglasville; daughters, Becky Whitworth of Ellijay, Cindy Scott of Ellijay; brothers, Benny Garland of Jasper, Rex Garland of Ellijay; sisters, Christine Stover of Ellijay, Charlene Byrd of Ellijay, Brenda Richard of Ellijay; grandchildren, Meghan Garland, Dusty Garland, Haley Stubefield, Hannah Garland, Jake Scott, Jody Scott, Justin Scott, Hope Pike, Wade Whitworth; great-grandson, Josh Theobald; and several nieces and nephews. He was preceded in death by sister, Betty Turner; brothers, Charles Garland and Robert Garland. A memorial service will be held 1:00 p.m., Saturday, April 13, 2019 at Pleasant Valley Church. To send flowers or a remembrance gift to the family of G. Howard Garland, please visit our Tribute Store. "Email Address" would like to share the life celebration of G. Howard Garland. Click on the "link" to go to share a favorite memory or leave a condolence message for the family.